Positions listed here are open at The Salvation Army's National Headquarters in Alexandria, VA only. Please contact your local Salvation Army for job opportunities in your area. 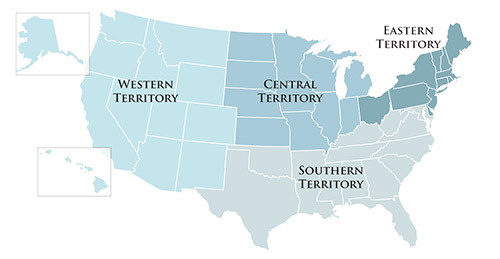 Click here for Salvation Army opportunities by territory. You must be a U.S. citizen or be eligible to work in the U.S. to apply. Job Summary: Develops various reports to include IRS Form 990-T, Operating Efficiency Dashboard, audit reports and schedules and special project reports. Assists with all areas of high-volume workflow by assisting where help is required. Manages corporate credit card process by establishing and maintaining card accounts and threshold limits, processing timely payments, ensuring proper backup, approval and coding of expenses. Oversees vendor approval and inactivation process by completing vendor forms for new vendors and changes to vendors, verifying all vendors for legitimacy, entering new information into accounting and payments system, maintaining vendor files including vendor forms and IRS Form W-9s. Confirms vendor payments. Manages all financial processes related to the national website by creating journals for incoming donor and banking activity, reconciling donation activity with reports, processing EFT transactions, and creating reports on financial activity of the national website. Manages the maintenance of NHQ fleet vehicles by preparing fair value calculations for vehicles when being sold or purchased, securing and maintaining fleet files and titles, ensuring that all new drivers complete a Motor Vehicle Report request, initiating and monitoring the completion of duties pertaining to all vehicle operators, including vehicle monthly inspections, registrations and emission tests, assisting in the reporting of accidents to the insurance company for float vehicles, reporting disposed vehicles to the DMV. Reconciles SASF bank account and charity airline miles account. Serves as primary backup for the Administrative Assistant/Accounting Clerk by preparing deposits, entering donor/customer information into the account information system, processing incoming funds, and creating complex allocation reports. Education and Experience: Bachelors degree from an accredited college or university in Accounting and two years' experience in an accounting function. Knowledge of accepted principles, methods, and practices of modern accounting, finance and budgeting. Knowledge of the principles and practices of general business administration. Knowledge of appropriate computer software applications and computer skills. Broad knowledge of processing all types of financial transactions. Knowledge of payroll issues. Benefits after 90 days. Free underground parking and lunches offered. Submit your cover letter and resume by secure fax to (703) 684-3478, e-mail to usn.recruit@usn.salvationarmy.org with the job title in the subject line, or send via US Mail to 615 Slaters Lane Alexandria, VA 22314, Attn: HR Office. Job Summary: Serves to channel, curate, and create content integral to the Publishing Ministry of The Salvation Army so all electronic means of communication are employed to attract, retain, and engage audiences through information the Publications Department formulates to represent through its publishing ministry mission of The Salvation Army. Works closely with department leaders to create, review, obtain and prepare content for publishing and uploading as frequently as daily and as regularly as assigned through the department’s website publishing platforms. Such communications involves handling, with discretion and sensitivity, dialogue with individuals and audiences online. The Communications Strategist also looks for new ways to promulgate information and to complement concurrent Salvation Army content and theme available through territorial publishing outlets and related public relations and other Salvation Army offices. The maintenance and advancement of the department’s communications strategy involves working with, establishing agreements with and monitoring the work of vendors as well as internal support offices for efficiency, economy and maximum impact. Education and Experience: B.S. degree from an accredited college or university in a related field and two to three years of progressively responsible experience performing electronic/website design and database management related tasks. Ability to develop, implement and maintain information support initiatives, processes and systems. Ability to conduct studies and analysis of established techniques and strategies to improve quality and outreach of national publications. Ability to audit information held in managed sites for accuracy, and initiate changes and updates as required. Knowledgeable of Macintosh computers and peripherals; ability to troubleshoot and perform maintenance on same. Working knowledge of the Microsoft Office Word and Excel and Content Management Systems such as Word Press. Ability to learn and become proficient in other specific software to include, but not limited to, InDesign, Adobe Photoshop and Flash. Knowledge of the English language including proper grammar and punctuation. Job Summary: Performs a variety of general administrative duties for the human resource and business administration departments; assists the Business Administrator’s office with day-to-day routine administrative duties; types and processes routine correspondence/documents, reports, agendas, etc. Assists with sectional conferences/committees. Serves as coordinator and liaison for sectional conferences/committees, seminars and special meetings: provides information; advises hotels of any changes in plans for attendees; arranges for meals, coffee breaks, lodging, meeting rooms, transportation, all needed equipment and supplies; invitations, registrations, applications, checks, schedules, assignments, programs, booklets, pamphlets, visual transparencies, graphs, charts, hand-outs. Records pertinent information in accordance with established procedures; prepares correspondence acknowledging the receipt and processing of the same. Processes incoming/outgoing mail for the business administration department. Assists the Human Resource Manager with annual job description and annual evaluation logistics, performs various clerical and administrative support work associated with special projects, seasonal events, and conference and committee meetings as directed; creates new hire orientation folders, new/terminated employee personnel files; orders section office supplies; manages the human resource recruit database handing employment verifications received via email; processes sectional vouchers/check requests and invoices; updates/posts data and new policies into various computer databases; supports attendance on the Special Events Committee as needed. Coordinates all aspects of the hospitality and logistics of National Groups to ensure successful meetings. Organizes metrics to survey the visitors experience while at National Headquarters. Education and Experience: High school diploma or G.E.D required with two years of experience performing a variety of administrative support in an office environment. Knowledge of Microsoft Word and Excel. Highly proficient in English grammar and punctuation with the ability to perform routine mathematical computations.